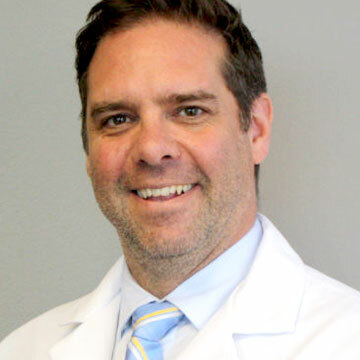 Home Conferences April 2019 Faculty April 2019 Ian White, Ph.D.
Dr. White is an expert in the field of regenerative medicine with 20 years’ experience working with cardiovascular biology, tissue regeneration and stem cell biology. Dr. White received his B.S. and M.S. degrees from Liverpool University, England prior to being hired at Dartmouth College to study the genetics of gamete biology. In 2000, Dr. White was recruited to Harvard University to work with hematopoietic stem cells and immune cell biology under the mentorship of the world-renowned Dr. Laurie Glimcher, where he co-authored several peer-reviewed scientific manuscripts. Dr. White went on to receive his Ph.D. degree from the Ansary Stem Cell Institute of Cornell University under the guidance of Dr. Shahin Rafii. Following the completion of this Ph.D. work, Dr. White has spent time in the stem cell laboratory of Dr. Stephen Dalton, whose pioneering work led to the inclusion of c-myc as one of the four factors used by Nobel award winning Dr. Shinya Yamanaka in the generation of induced pluripotent stem cells (iPSCs). Subsequently, Dr. White relocated to the Interdisciplinary Stem Cell Institute at the University of Miami’s Miller School of Medicine. Dr. White published ground-breaking research in the field of regenerative medicine alongside Dr. Joshua Hare, including a book chapter on the use of Mesenchymal Stem Cells (“MSCs”) in Cardiology. In 2015, Dr. White’s work on the regeneration of the heart was featured on the cover of Circulation Research, one of the top peer-reviewed journals in the world for cardiovascular medicine. In 2016, Dr. White was honored with an award for the “Best Manuscript” by the American Heart Association for his work highlighting the role of peripheral nerves in cardiac regeneration. Dr. White has published extensively in the field of stem cell biology, clinical stem cell applications and regenerative medicine.